FEMA To Test Emergency Text Messages From Trump - Joe.My.God. 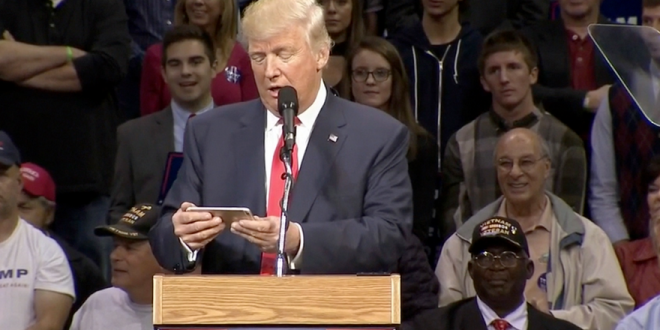 Get ready to receive a text message from President Donald Trump on Sept. 20. But it won’t be a political message or attack on one of his perceived enemies—or at least, it’s not supposed to be. He plans to message every cell phone in America to test a new Federal Emergency Management Agency (FEMA) system that will allow any U.S. president to communicate directly via a text message with the public during a national emergency. If you can’t remember this happening before—you’re correct. This is a first for the Wireless Emergency Alerts, which is supposed to send a text message to all mobile phones within reception distance of a cellular tower of participating carriers, which includes all the major ones.